Hi, I'm Bevan Jones. I'm the owner of Canyon Country Home Inspection. 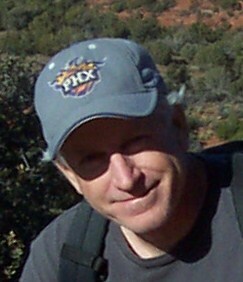 I was born in Arizona and have lived in Cottonwood AZ for 20 years. I like helping people and being a home inspector gives me an opportunity to do that. I was in the construction industry for over 20 years and using that experience, along with my home inspection training, continuing education, and fourteen years of home inspection experience doing over 2400 home inspections, I help people to make a well informed decision when purchasing a home. I am willing to take the time with you during and after the inspection to make sure you have a good understanding of the condition of the home you are about to purchase. Unlike other home inspectors I usually just do only one home inspection a day. This way I am never rushed and can focus on you and your inspection and give you the type of service you deserve. And I do it at a fair price!